Welcome to The Boutique at Swiftwater Cellars, an intimate shop specializing in offering a richly unique selection of home furnishings and accessories. In addition to many one-of-a-kind items, we also feature lines of apparel, candles, limited edition bronzes, jewelry, handbags and baby products exclusive to our Boutique. Our vast selection of resources brings to life the ability to make your dream alive in your home. 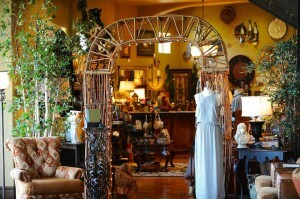 We’ll look forward to your visit to The Boutique at Swiftwater Cellars. Be sure to visit one of our fully stocked pro shops at the Prospector or Rope Rider golf courses. You will find the latest in men’s, women’s, and children’s golf apparel and accessories with the familiar Suncadia logo. You can also pick up a bottle of wine and wine glasses etched with the Suncadia logo; grab a sandwich and a cold beverage for lunch; or get that special someone the set of golf clubs they’ve always wanted. Be sure to check out our seasonal trunk shows and sales events throughout the year.